What attracted you to GCU? First and foremost, I am an alumnus of GCU (master’s degree in 2006), and it is a privilege to work for the university that did so much to help further my previous career as a schoolteacher. Second, I am thrilled to be part of an organization that takes its role as an upstanding member of the community so seriously. What GCU is doing to revitalize the Canyon Corridor, for example, speaks volumes about its core values. To be even a small part of that is very meaningful to me. 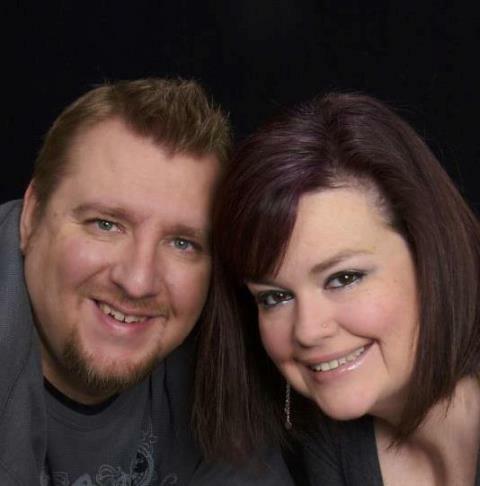 Third, my wife, Kelly, also is employed by GCU at the 27th Avenue office. The opportunity to get a primo carpooling parking spot was a no-brainer. However, since we commute in her car most days, I have to listen to her choice of music. I guess you can’t win ’em all. What do you do for fun and where do you find that outlet? I love to spend time with my dogs, so time in the backyard or playing fetch at the dog park or chasing them around is an absolute must. I also like to spend time with my PlayStation 4. Fortunately, I have a spouse who not only tolerates my video game playing but actually enjoys them herself. Spending quality time as a family zapping alien life forms or saving the world from zombie invasions is reinvigorating after a long week of curriculum development. What are you passionate about? I am passionate about education and learning. Even though I am no longer in the classroom, part of me always will consider myself a teacher. And as a GCU curriculum developer, I am still a vital part of the educational process. I love history and politics, which makes working in the College of Humanities and Social Sciences a great fit for me. Plus I enjoy a good debate, and those topics are ripe for it. I am a huge fan of Elvis, Batman and SpongeBob, as my cubicle attests. And I am extremely passionate about music. I love many different types of music and am an avid purchaser of CDs (I know I am dating myself here). I am an absolutely terrible amateur guitarist, but the noises I produce — I can’t even legitimately call it music — make me happy. What are your favorite places or events in the Valley that you like to visit? I am a homebody for the most part, but I love to spend time at Zia Records or Bookmans. I enjoy going to the State Fair in the fall to see what new deep-fried monstrosity they have created. And I love to listen to live music at the Crescent Ballroom. Tell us something about yourself that most people don’t know: I haven’t read a fiction book in more than 20 years. However, I have a good friend who recently became a published author, so I need to break that streak soon. What are you most proud of? I am proud of my 20-year career in education and hope I made a small difference in the lives of my students. I believe education is one of the noblest professions. I also think I legitimately can call myself a good husband and son. Nothing makes me prouder than that. 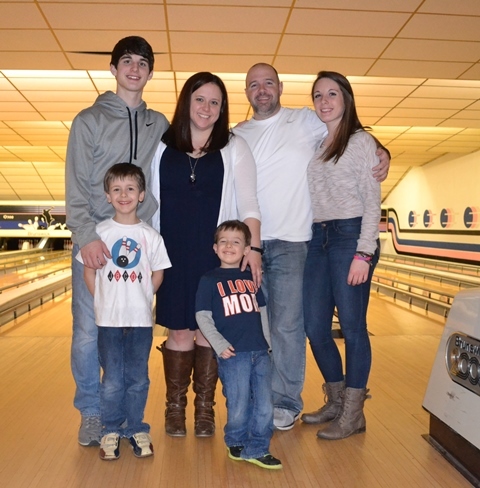 Jessica Stephenson and her husband, Jason, with their four children, Dylan (back left), Deanna (back right) and (front left to right) Jacob and Ryan. What attracted you to GCU? I had never seen a position that would allow you to wear so many hats. It’s really exciting to know that I am a part of building business relationships, recruiting highly qualified students, assisting them with their application and financial aid documentation, advising and supporting their educational experience, and getting to work with alumni. What do you do for fun and where do you find that outlet? Spending time with my family – there are six of us, so it’s never really that hard to find someone to hang out with. What are you passionate about? Learning. I love to discover new things — and I love that GCU places such a strong emphasis on supporting students and its employees in their educational and professional journeys. What are your favorite places or events in the Valley that you like to visit? The campus is magical, but I also will be eager to go to Bobby-Q again when I return to Phoenix. The food there is delicious! Tell us something about yourself that most people don’t know: I’m such a picky eater. I don’t like eggs, cheese or condiments (including ketchup or salad dressing). People always look at me funny when I order at a restaurant. What are you most proud of? My family. My biggest hope is to raise my kids to be happy, healthy and independent, and to be able to define success for themselves. I am honored to be a part of watching them grow and so proud of each of them.